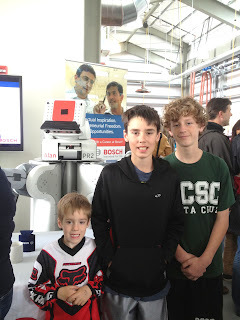 Last year (in April), I took the boys to Stanford for a Robotics demonstration. 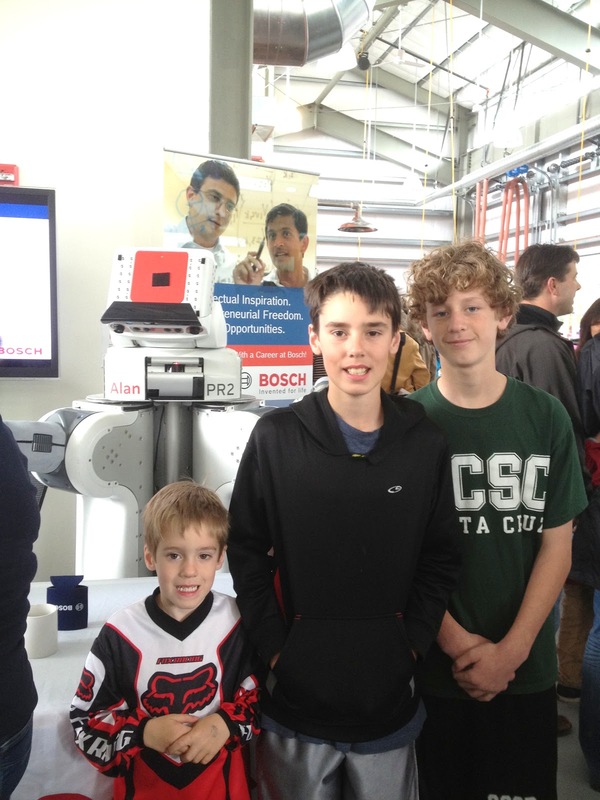 Stevie and Wyatt were not so interested, but Marky took to it. 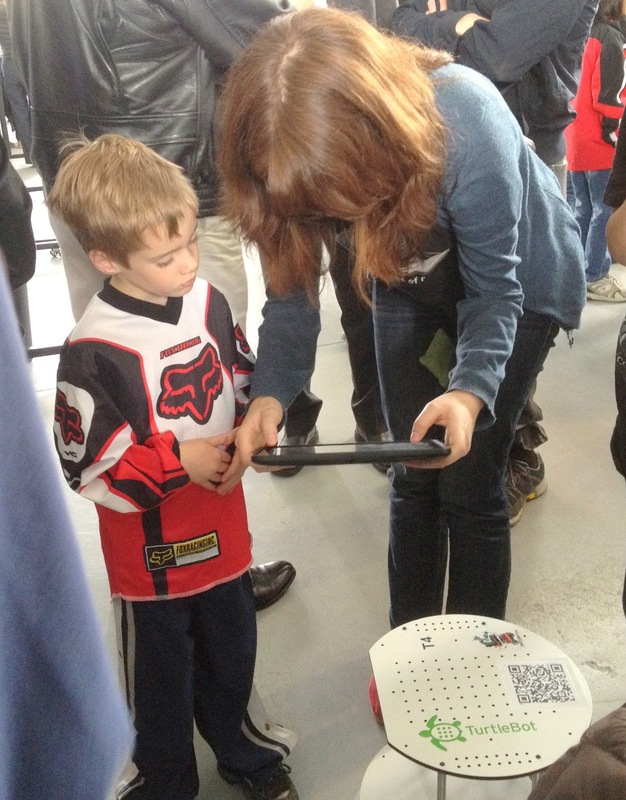 He was completely mesmorized by the robots. Steve has since taken the kids to the Tech Museum to see more of the robots. 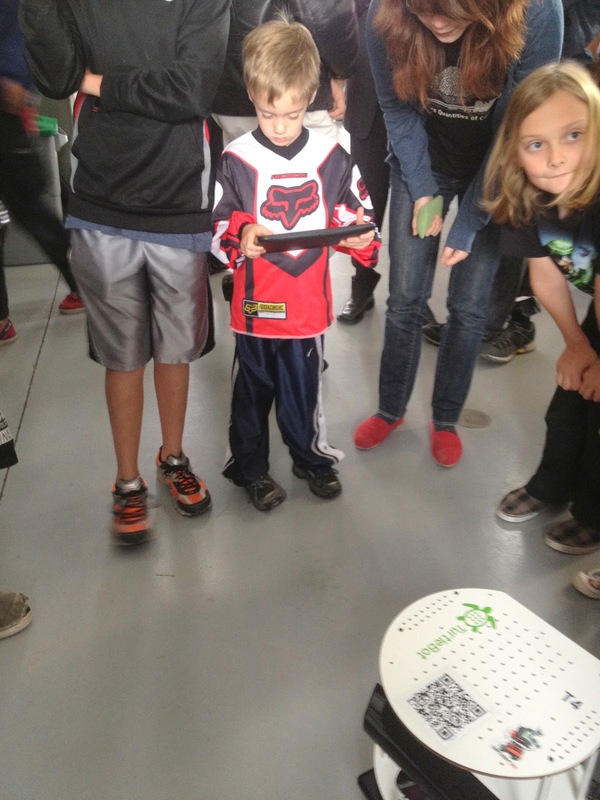 The TurtleBot was a huge hit with Marky. He put posters of it in his room.